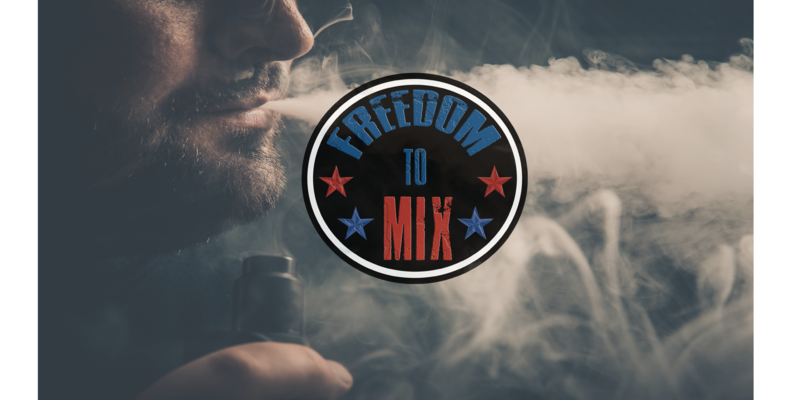 So you've purchased some flavorings, supplies for mixing, and have started to mix some great recipes developed by other mixers and have seen how easy it is to mix your own eliquid and save money in the process. Now you want to go a step farther and create your own recipes. Where do you start? Developing your own recipes can seem like a daunting task. However, if you start simple and build upon how others use flavorings, it's not too difficult. One example is to take someones recipe you like and change it a bit to suit your taste. Now I'm not saying to take credit for a mixer's work. What I am saying is to learn from what you've mixed by others and change the recipe into something that's more to your liking, giving the original mixer credit where it is appropriate. I'm not going to get into the ethics of this idea except to say that copying someone's work and claiming it to be your work is wrong and dumb. 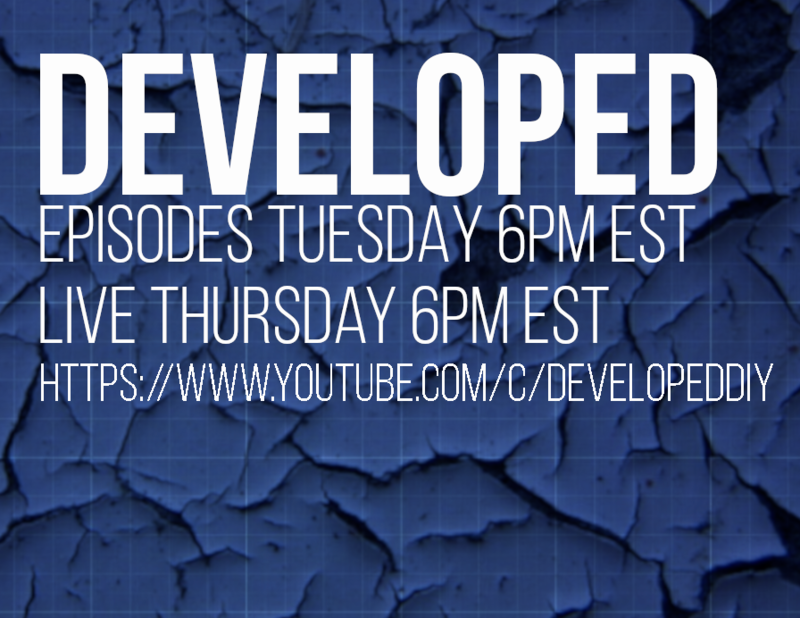 So, with that being said, lets get started. Simple recipes does not mean simple flavor, quite the contrary. Some of the most flavorful vapes are comprised of just a few flavorings. So when I talk about "simple recipes", I'm referring to 1 or 2 layers in a recipe. 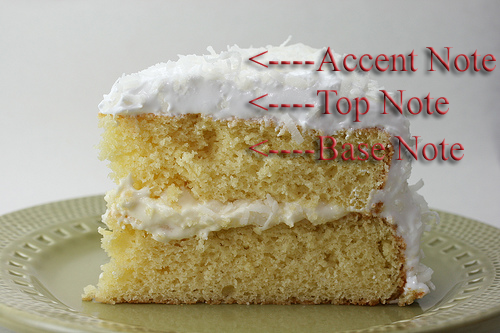 Think of layers like a coconut cake. You have the sweet bready part making up the majority of the cake(The Base), the frosting that gives the cake a sweet creamy punch to the cake(The Top Note), and the coconut giving an added flavor to the whole(The Accent). I'll defiantly get into layers much more deeply in the coming articles, but for now lets just focus on the "simple" 2 layer recipe(the base and the top note). Do not confuse the number of flavorings used with the number of layers. Each layer could use 1,2, or more flavorings. But for this exercise we will keep it simple. So everyone uses strawberry and cream as an example for a simple recipe to start with and for good reason, it's the most popular profile in mixing. Lets say you've been mixing God Milk by Skiddlz, but you want to make your own strawberries and cream to call your own. Here's where you start. Start by writing down what your desired end result will be. Don't think about what flavors you might use yet, just think about what type of cream you want to taste. Is it a heavy cream or a light cream? Do you want it to be like a milkshake? What type of strawberry do you want to taste? Do you want a authentic strawberry or a candy strawberry? Write down the best description you can to pinpoint exactly what you're going for. That is the "Master Blueprint". You now have described 2 layers that you want to taste, the cream(The Base) and the strawberries(The Top Note). The next step is choosing the right flavorings that best fit your "Master Blueprint". Here's where a lot of new mixers get frustrated. "Ok, I know how I want it to taste, but what flavors do I use to get there?". The answer? Single Flavor Testing(SFT). This is where the work comes in. Before you can create a really good recipe, you have to know your flavors. Just guessing what flavors and percentages of flavorings will give you the desired Master Blueprint end result is not a good way to begin. SFTing is essential to recipe development. So lets break it down to it's simplest form using the strawberries and cream example. Lets say you described the cream you're wanting as a milkshake-like cream. Take the creams you have in your arsenal(it probably isn't many if you've just started mixing). Go to AllTheFlavors.com and search for those flavorings and see what percentages others are using them at for similar profiles and make some test batches in 10ml bottles. You can vape them right then, but also let them sit a few days or even weeks to see if the flavor changes. Pick the one that best fits your milkshake-like profile. Maybe one flavoring is close but not a true milkshake. 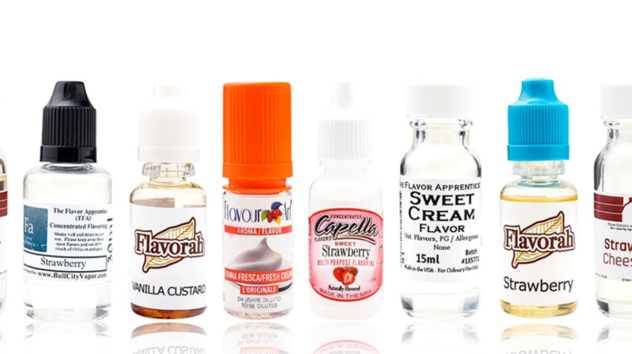 Try taking two flavorings based on your SFT's to get you to that milkshake flavor you desire. Don't worry if it's not perfect, you can always change and tweak the recipe later. That will be your Base Layer. Repeat the process with the strawberry flavorings you have and pick the best one or combination of flavorings that best taste like the type of strawberry you desire. That will be your Top Layer. Combine both layers and you have your first original recipe that you've created. It's that simple. Now it still may not be exactly what you were going for and most of the time, when I mix, my first attempt is ok but not quite where I want it to be. So I will do more research on AllTheFlavors.com, Reddit, or other sites to see if there are flavor notes on other flavorings I don't have that may be a better fit for what I'm wanting to create. Then I start the flavor selection process over with SFTing the new flavors. 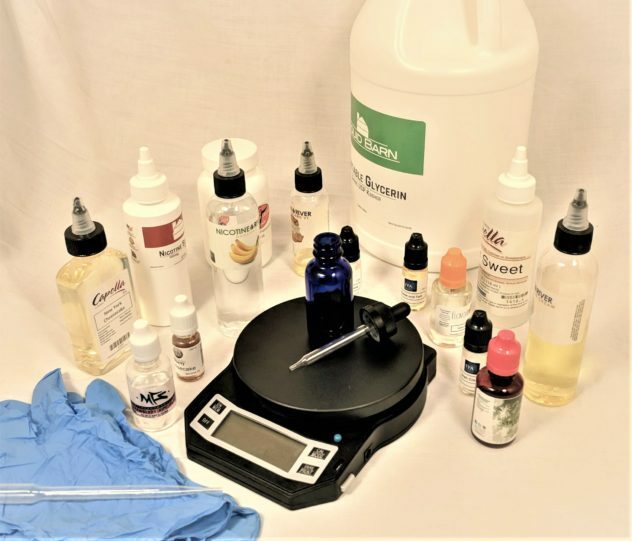 When using two or more flavorings to get that flavor that you are wanting, just keep in mind that more flavorings don't always mean more flavor. Try to use the fewest flavorings as you can to get you to the end result you're going for. Using 4 or 5 creams to try to get the flavor you want can make your mixes taste "muddy". There is another thing you can do as well and that is to write down notes on your flavorings. Not everyone likes this aspect to SFTing, but if you do like to keep notes, it is a good way to quickly reference your SFTing for future recipes. I don't suggest this to most new mixers, because it can seem like drudgery and can take the fun out of mixing. But if you plan to pursue this as more than just a hobby, it's absolutely necessary. I'll talk more about flavor notes in future articles. Try this process with other profiles like frosted cupcakes, glazed donuts, peaches and cream, etc. By going through these steps with other profiles, you will gain experience with using your flavorings that will help you tackle more complex recipes in the future. So that's it, a simple strawberries and cream recipe that's all your own! Remember, if this process starts to frustrate you, slow down, keep it simple, and have fun. The next article will be on creating more complex recipes with multiple layers.